Hands-On Bible Curriculum® Learning Lab® is brimming with the tools you need to lead a successful Sunday school class, including creative gizmos that help kids experience God’s Word. Incredible Learning Labs include one Teacher Guide, lively gizmos, CD with music and sound effects, and exciting active-learning tools. 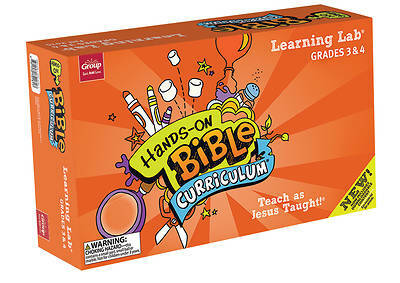 Everything you need to connect kids to Jesus—in fun, unforgettable ways! Learning Labs now include Teacher Guides. Additional Teacher Guides are available separately.